Steven Johnson thinks differently. Steven isn’t trying to change the world to meet his needs; he’s trying to match the needs of the people with the needs of the world. 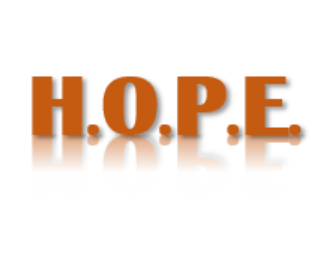 As we learn more about H.O.P.E, maybe you’ll think differently too. Steven is a dedicated social servant that carries a Masters in Social Services and Law and Social Policy with 20+ years of experience in community development. He realized throughout his career that he didn’t need to create an opportunity to better his community and support his mission. His mission could be achieved by taking advantage of the opportunities that have been created by the government and bringing them to his community. However, one of the hurdles that Steven needed to overcome was to find a fiscal sponsor who would buy into his ideas. To bring his business plan to fruition, he needed to find someone open to his ideas, a partner that will both support and keep him in check, and an entity to legitimize the whole venture. Even though he was met with a lot of rejection, Steven embodied the phrase “where there’s a will, there’s a way” and through his due diligence, he found FNC. When Steven finally met with Executive Director, Jerry Tapley, he was quickly sold on the openness and flexibility that FNC had to offer. With FNC’s financial management, Steven was able to prove that he had a financially stable program that could handle the size and scale of government contracts. These contracts would be used to employ members of the community that Steven cares so passionately about, thus fulfilling his mission.